Every boy has a dream. For Yuma, his dream is to become the world’s greatest duelist. But there’s just one problem – his dueling skills are…well, let’s just say…a little less than skillful! 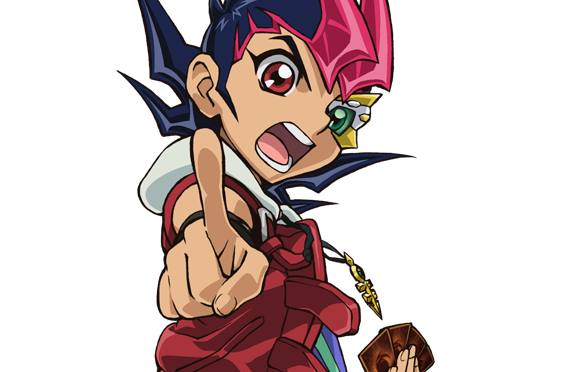 Although Yuma may still be learning how to duel, he more than makes up for his inexperience by feeling the flow and dueling with the passion of a pro and the attitude of an ace. That’s why no matter how powerful the opponent, Yuma is always ready to take them on – even if his skills are a little off! Yuma Tsukumo is a hasty, energetic, and cheerful young boy who likes to challenge himself to do anything that seems impossible, which he normally fails at. Undaunted by his failures, he states that doing these challenges gets him fired up and will eventually accomplish what he sets out to do. He calls this challenge his “kattobingu” spirit (“feeling the flow” in the dub), which his father taught him. Even Yuma would sometimes doubt himself when depressed, yet he’d still go through with his trials, such when he had shown up for his Duel with Reginald Kastle. Yuma told Astral it was because of his promise to his father is the reason he doesn’t to do things halfway, believing it was like “betraying” his father if he did so. Yuma greatly loves his parents and treasures the the key they gave him, shown when he was depressed when Shark broke it and nearly had a panic attack when he lost it, but really just ran out the house without it. In his house, Yuma sleeps in the treasury attic full with memories and artifacts of his parents’ adventures and trips instead of his own bedroom. He looks up to his father and carries on his challenging, never-give-up spirit and catchphrase “kattobingu”. It was said that Yuma picked up his personality from his father’s spirit and his mother’s affection. While he tries to hide it, Yuma quite sensitive on the subject of parents and misses them. Yuma uses a “Xyz One Turn Kill” Deck, which is supported by the powerful “Number” cards and focuses on performing Xyz Summons. He has a high number of Trap Cards, which mostly protect his monsters and reduce battle damage. He can support his monsters with some ATK boosting cards, like “Wonder Wand”, “Blustering Winds”, “Bound Wand”, and “Double or Nothing!”. His signature card is “Number 39: Utopia”. Like his other “Numbers” however, he can only use it when Astral is fighting by his side. His main strategy focuses on bringing out “Utopia” and making it strong enough to beat the opponent. After his time at the Duel Sanctuary, Roku gave Yuma the “Duel Sanctuary Legendary Deck”. According to Roku, the Deck is appropriate for Yuma and should answer his feelings. Yuma combined elements from both this Deck and his first Deck into a single Deck. Also, if Yuma and Astral believe in their possibilities, they gain the power to Chaos Xyz Evolution “Utopia” into “Number C39: Utopia Ray”. Using ZEXAL, he can create Zexal Weapons cards which gives “Utopia Ray]” extra ATK and abilities. 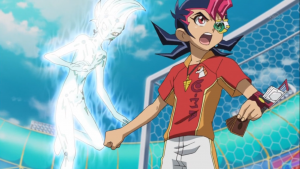 In the World Duel Carnival, Yuma seems to be focusing on fighting less with his “Numbers”, instead he uses normal Xyz Monsters against opponents that lack “Numbers” of their own. This is due to him feeling that it is unfair to use “Numbers” against a non-“Number” user. Yuma’s Deck has parallels with those of Yugi Muto, Jaden Yuki and Yusei Fudo. Like Yugi, he uses a Deck which previously belonged to a relative. Like Jaden, he obtains a new Deck which he combines with his original Deck. Like Yusei, he makes extensive use of his series’ new mechanic. Like the three of them, his ace card, “Utopia” has 2500 ATK.